Trane has a well-deserved reputation for being a leader in the heating industry. One of the premier products is the XC95 Gas Heating Furnace. This furnace uses Trane’s Advanced Comfort II technology that actually configures the furnace for perfect operation every time. It also calibrates and automatically charges the system for a great running operation. This technology is so advanced that the system offer an optional system called TAM which is Telephone Access Module, this system will sent alerts to your phone when the system has problems or just when it needs an adjustment is needed. Some of the great features that this unit offers is high efficiency with a rating of 95% AFUE which stands for Annual Fuel Utilization Efficiency. 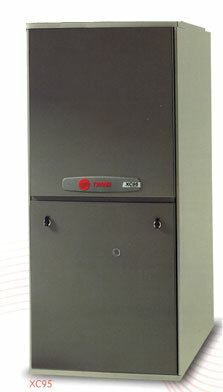 This is one of the highest rated furnaces in the industry. As cost effective and energy efficient as Trane Furnaces are, if you want to make them last for more than 20 years you have to make sure that they are well maintained. Most homeowners really don’t know the first thing about taking care of a furnace. If you want to save yourself a lot of money then do yourself a favor and read the maintenance manuals that come along with the units. If you understand how to take care of the furnace then the furnace will take care of you. It would be a good idea to have the furnace maintained twice a year, once at the beginning of the heating season and once at the end. If you do the pre-season maintenance the tech will perform a start up of the furnace and you will be able to tell how the system is going to run. It would also be a good idea to use the company that installed the furnace to use them for maintenance. They keep records of the maintenance and they know the product inside and out. When your tech comes to perform a routine maintenance, you should expect to see him do the following inspection. 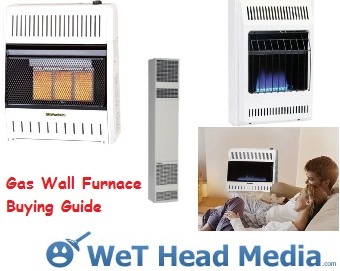 You want to see them check out the complete system by checking the cooling modes of the furnace and the heating modes. Then you will want to see a check of the defrost operation on the heat pump if the furnace is equipped with one. The technician will also do a check on all of the major components of the furnace to ensure all parts are doing their jobs. Then they should clean the indoor and outdoor air conditioning coils as well as the indoor blower housing and the blower wheel. It is very important and vital to the furnaces operation that these components are checked. By performing these routine maintenance checks you can prolong the life of the furnace and if there is any problems then it may save you money because the problem was detected early enough before it turned into a more severe problem. If you are looking to replace that worn out furnace you have had since the dawn of time. 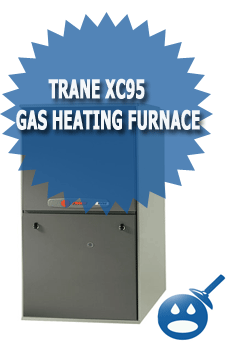 Check out the Trane XC95 Gas Heating Furnace. It will save you money in the summer and the winter months.